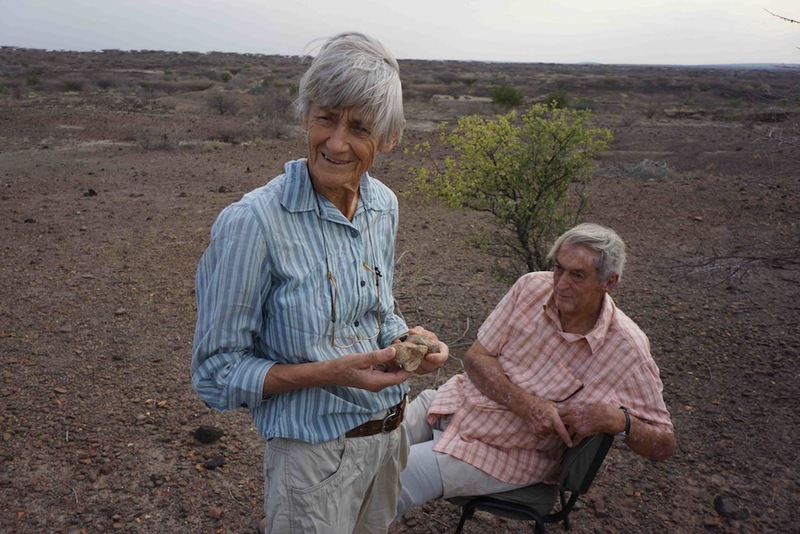 With the discovery, documenting and collecting of the hominin finds completed, each site now has to be seived. 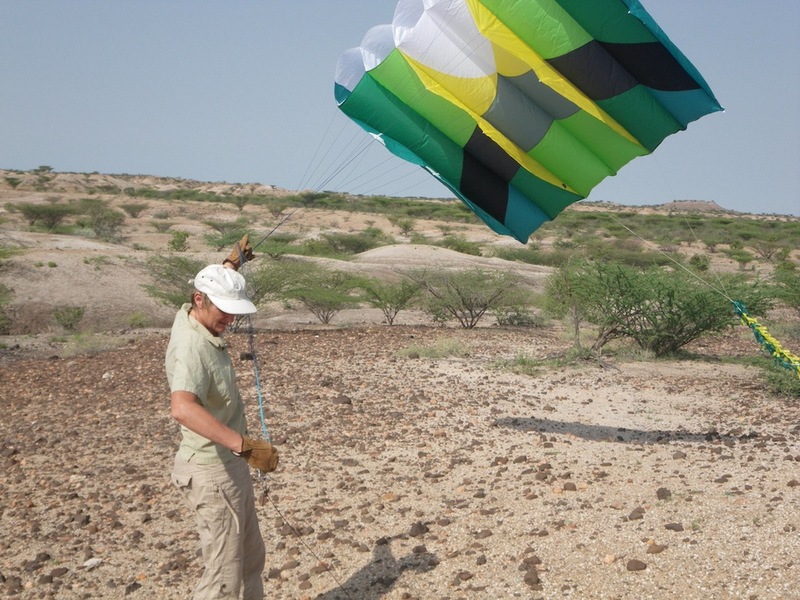 The crew does the preliminary sieving at the site and then the screened sediment is caried back to the car in sacks to be transported back to TBI Ileret field station. Here over the next six months the sediment is then washed and rescreened to recover the bits of fossil that would not have been seen when they were covered in dust. Last year we recovered three pieces of a single hominid molar recovered in the wet sieve, so although it takes a huge amount of time and effort to get it done, it is definitely worth it. Unusually this year the sieve sites are all in close vicinity to each other. it appears that the area in which they were found is very rich in hominin remains altough I am not sure why this might be. 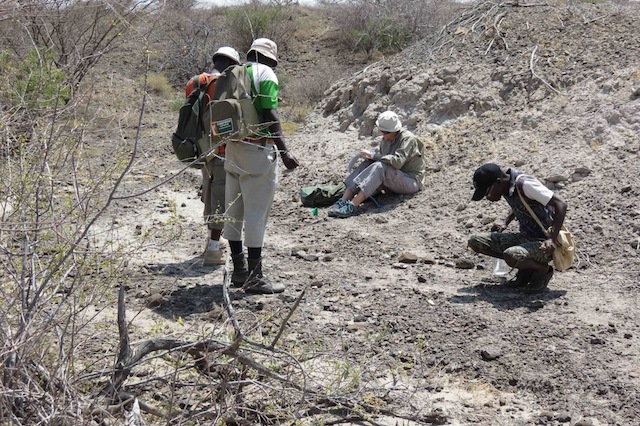 Weare currently seiving three hominin sites all within some 200 meters of each other. 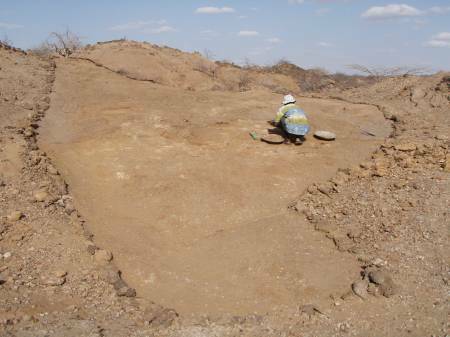 Nyete’s hominin mandible site; notice the steep slope in the background. 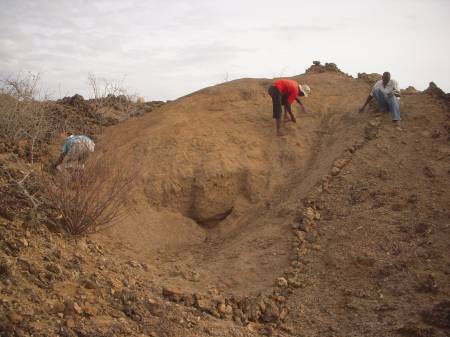 The hominin was recovered from half way up this slope and must have rolled down from the top. We have had good results from all the three sieves because they recovered additional fragments. This keeps the morale of the field crew high as it is painstaking work going in the hot sun and so when pieces are recovered it is very rewarding. 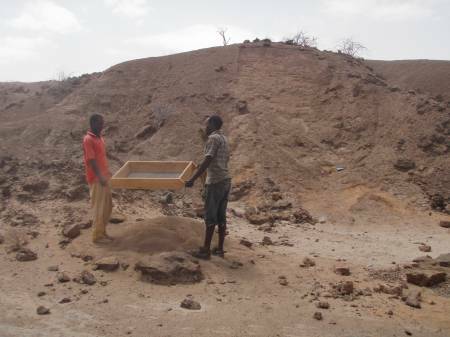 We have been concentrating on getting the screening completed and so we have not been prospecting for fossils. We look forward to getting our eyes to the ground again however.